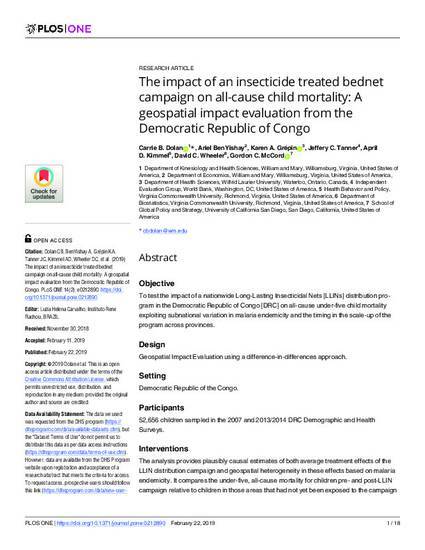 The findings of this paper make important contributions to the evidence base for the effectiveness of large scale-national LLIN campaigns against malaria. We found that the program was effective in areas of the DRC with the highest underlying risk of malaria. Targeting bednets to areas with greatest underlying risk for malaria may help to increase the efficiency of increasingly limited malaria resources but should be balanced against other malaria control concerns.